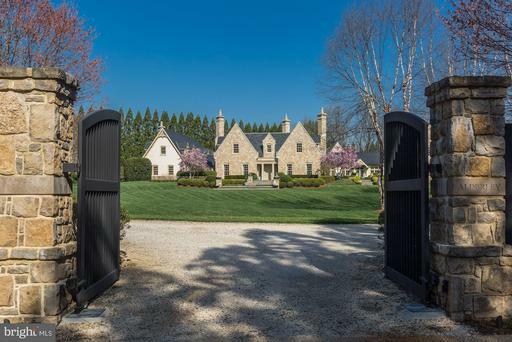 Welcome to Alderley a magnificent, gated Cotswold Stone Manor in the heart of Great Falls! 5-Private Acres meticulously landscaped w/ lush Lawn, Pool w/ Waterfall, Pergola w/ Wisteria, Koi Pond, Gardens, Outdoor Kitchen Dining. Unparalleled interior finish details. Main Level Master, exquisite Kitchen Breakfast Room. Fully Finished Lower Level incl. Wine Room, Theater, Gym Spa. Generator. Unparalleled opulence awaits at Le Reve, one of the finest communities to be developed in decades. 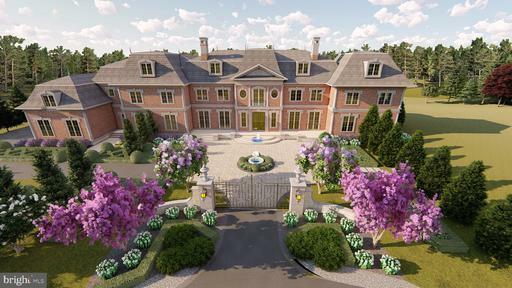 The Building Group LLC officially breaks ground on the construction of their next french provincial masterpiece, Chateau de Riviere, early summer 2019. The Le Reve aerial renderings pictured in the above virtual tour depict the homes to be built, as well as all recent sales in the Le Reve community. Customize your dream home in Great Falls most sought after neighborhood today. Only four lots remain! NEW LOOK! 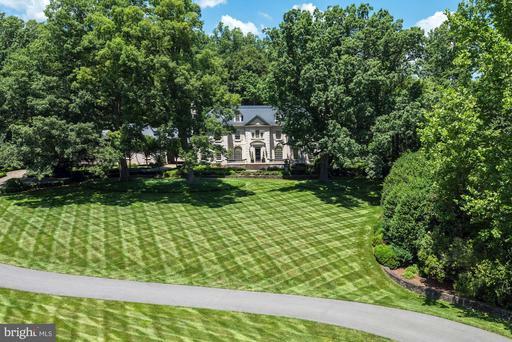 Unparalleled gated estate on 5 private acres w/ manicured grounds by Charles Owen Fine Landscaping includes pool, gorgeous gardens, patio outdoor FP. Elegant main floor embraces intimacy expansive entertaining with grand Formal Rooms, Library, Kitchen w/ high end appliances. Master Suite w/ 2 walk-in closets, Spa like bath w/ steam shower. Lower level Rec Room w/ Bar Kitchenette, Billiard Room, Fitness Room, Bedroom Full Bath. NEVER OFFERED BEFORE! A rare opportunity to have the best of country living with close-in convenience. 5.8 Beautiful and protected acres only minutes from the Great Falls Village Center. Charming custom designed French Country home with every modern amenity. Property features a stone and brick main residence, free standing garage with guest quarters above, a saline pool with extensive hardscape outdoor kitchen, professionally designed formal gardens with potting shed, orchards, and two stall barn. Fenced and cross fenced and bounded on two sides by passive park land. This gorgeous home provides a venue for elegant entertaining and comfortable living. New Construction by ALM Builders in prime subdivision on public water gas, just minutes to G.F. Village! 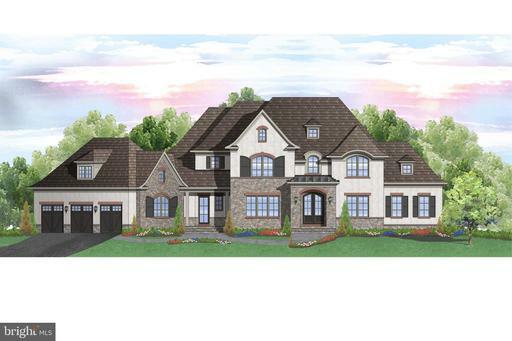 The Persian Rose model is a gorgeous 7-bedroom luxury home with 15,000 sf, 4-car garage, stone/stucco exterior, 2-story foyer, marble hdwd floors, gourmet kitchen w/top appliances, study/office, cinema, sauna, pool, gazebo, and more! Sumptuous elegance with a modern flair! 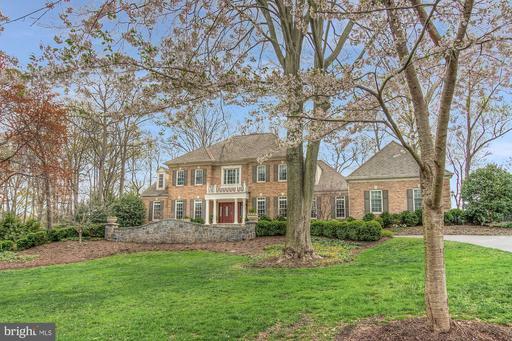 Minutes from Tysons Corner, Metro, Wolf Trap, and Dulles Airport, on two acres with plenty of privacy, sits this upgraded, custom all-brick colonial. Keen attention to detail throughout 10,000 square feet make this home a luxurious sanctuary in one of the fastest-growing metropolises in the country. Ten foot ceilings and 15-inch crown moldings create an impressive main level, with arched doorways and floor-to-ceiling windows that bathe sanded-in-place wood floors in plenty of natural light. You~ll stay cozy at night with fireplaces in three rooms. Chefs, bakers and entertainers delight in the kitchen, which has 3 Wolf ovens, a 6-burner Wolf stove with hood, 3 dishwashers and 2 sinks. Keep your parties going outside via French doors leading to balconies and screened porch off the main level, as well as a whole-house indoor-outdoor sound system. Upstairs are five out of seven spacious bedrooms, including the master suite, which boasts soaking tub and dual entry shower for the master bath. You~ll appreciate the view from a specially-designed slate balcony for the master suite, which overlooks professionally-landscaped grounds adorned with your personal peaceful forest: an array of tasteful plantings and more than 70 trees. In the lower level, keep what really matters in a stunning 5,000 bottle capacity wine cellar, and enjoy your keep at the large bar, alongside gym, recreation room, powder room, huge bedroom with full bath, and plenty of storage. Enjoy outdoor access from all lower level rooms with French doors in each room, which will take you to a spacious patio with an oversized fireplace, koi pond, and waterfall. Follow the stone walkway to the three car garage, as well as a handicap-accessible guest suite with private entrance. The security system keeps you and loved ones protected with cameras over the entire property, as well as a whole house backup generator. Extravagance awaits you on Dara Lane. MA Custom Homes a Master Builder presents it latest Handcrafted estate home. You will find the quality and features like no other. From the moment drive up. 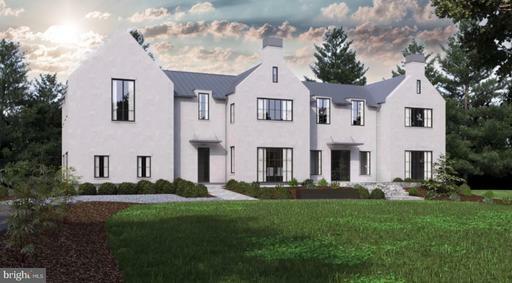 There is a beautiful Custom-made hammered Metal front door with glass panes that opens, the stone and custom brick on all sides with precast jack arches over the Marvin architectural series windows as well as the slate roof and stately chimneys adds to the Handsome look. This is no ordinary home ~ it is a true mansion. As you enter the estate you find a huge marble entry foyer that holds a curved, free floating black walnut staircase with wrought iron railings. Chambord crystal chandeliers are in the foyer, the reception Hall, library and dining room, those in Two store spaces on lifts to be lowered for cleaning. The floors are also black walnut. In the formal living room and embassy sized dining room you find cherry and maple inlays to give that signature MA feel. Both rooms feature ornate plaster crown molding. The Living room features a mason fireplace has a gas line run, so you have both options. The mantle is very grand with Plaster details. Off the living room is a small butler pantry with a hammered copper sink and beverage refrigerator that leads to the formal powder room with an Ove toilet. The library has mahogany built in bookcases as well as a Mason fireplace with stained grade mantel. Through the back hallway, you access the family entrance and the elevator, to the Four car garage built with capacity for lifts to store up to eight autos. Molding through the home is all custom made from poplar. This is like no other home you have seen. The gourmet kitchen open to a grand Family room with Mason fireplace heavy 12-piece crown molding A breakfast area faces a service bar with its own sink, oven, microwave and built-in espresso machine. Off the center island there is a 60-inch Wolf Range with double ovens that includes a griddle and a pot filler water tap, two hammered copper farm sinks, two Miele dishwashers and the center island has a built-in microwave. The cabinets are all custom made with lots of added features and detail you will love. The well-thought-out layout allows multiple people to work in the kitchen at the same time. From the Family room you can access the upper level from the back staircase also made from black walnut. You land on the upper foyer with Black walnut floors in all the upper halls as well as the master. As you enter the master bedroom, you find the generous seating area with plaster molding. Between the bed area and the sitting area, you have a two-sided fireplace and tray ceiling in both. The two walk-in closets have beautiful molding one with center island and with cabinet built-ins. There is even a morning kitchen with a beverage fridge and sink. The closet with satisfy even the most demanding buyer. You can access with a private hall to the over garage office or guest suite form the master. The master bath with marble floors, a two-person spa and a shower with Kohler computer-controlled body sprayers. There are two water closets with bidet and Ove toilets you can each leave the seat the way you like it. There is his and hers sink areas with hers comes a makeup vanity. This level holds an additional 3 bedroom suites. Each have walk-in closets and recess lights as well a ceiling light and crown molding. On this level is a generous sized laundry room. There is also a fourth level, with a 5th bedroom suite. The lower level with ten-foot ceilings is finished with the same high level of finish as on the main. There is a Seventh bedroom suite. The recreation room has a mason fireplace with gas. There is a bar with full refrigerator, microwave and sink, and wine cellar. There is a full exercise room with glass and mirrored walls and rubber floor. The media room has two levels of viewing for lounge chairs and detailed molding. Finally, there is a sunken patio and a large finished storage room under the garage. GORGEOUS REMODEL on 5+ acres offers 5BRs, 7 full BAs. Formal and informal spaces designed for comfort and flow include white gourmet kitchen, main and upper lvl master suites, pool, spa, jogging path within fenced perimeter. Each BR has new bath balcony. Contemporary walk-up LL with custom wet-bar, envious wine room, billiards, cinema. Hdwds, French doors, high-end finishes, modern elegance. Truly magnificent, this stately English Tudor with old world architectural features including stone walls, stucco, aged brick, copper down spouts and slate roof create an impressive facade! Sited on almost 2 private, professionally landscaped acres w/ gated entrance resort style amenities. Massive renovation done in 2008-2010. 4 finished LVLS that include English coffered ceilings, Italian mosaics, Brazilian mantel American antique beams. The Foyer w/ Venetian twist columns opens to a 2-story Great Room that has coffered ceilings, masonry fireplace and French doors to the terrace and gracious paneled Library. 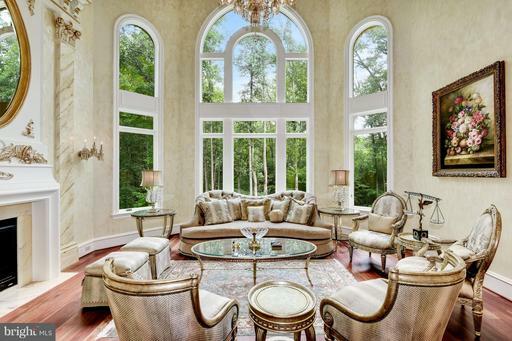 The Living Room has beautiful arched windows and the banquet sized Dining Room has coffered ceiling and pocket doors. The Kitchen w/ exposed beams, custom cabinetry, two islands, top-of-the-line appliances designed for world class entertaining. There is also a cozy Breakfast Room with a masonry fireplace and bay window seating. The Upper Level has elegant Master Suite with a Sitting Room, luxurious Bath, custom walk-in Dressing Room and 3 spacious secondary Bedrooms. Additionally, there is an upstairs Family Room with a loft and two bedrooms. A sprawling Walk-out Lower Level includes a Recreation haven with Wet Bar, Custom Wine Cellar perfect for the connoisseur and an amazing Theater. An entertainer~s dream, the backyard with a spectacular setting includes a Pool, Private Spa surrounded by a stone wall, wood burning Fireplace, Pergola and gardens galore! New construction by ALM Builders in prime subdivision on public water gas, just minutes to G.F. Village! The Persian Rose model is a gorgeous 6-bedroom luxury home of 14,000 sf with 4-car garage, stone/stucco exterior, 2-story foyer, marble hdwd floors, gourmet kitchen w/top appliances, study/office, cinema, sauna, pool, gazebo, and more! Sumptuous elegance with a modern flair! TO BE BUILT. OPEN HOUSE CANCELLED 3/24! LAKESIDE CHATEAU: THE COLLECTORS CABINET! This marvelous 14,000+ square foot estate in the French Chateau style is a treasure trove of architectural delights. Built by BOWA in 2005, this home demonstrates the value of quality construction with meticulous attention to every detail. Located just minutes from the village of Great Falls, this five-bedroom, 10-bath property evokes an atmosphere of respite and security, while at the same time portrays a well-curated collection of art! Turn onto the private drive to be immediately infused with a sense of magnificence. From the pea-gravel driveway complete with center roundabout, to the lushly landscaped coniferous furs that surround, an immediate sensation of seclusion envelopes. Reclaimed gothic doors from an Argentine Castle greet guests and welcome them into a light-filled, two-story foyer complete with a Tiffany stained glass window and chandelier from an Anheuser Busch warehouse! Throughout the first floor, vintage, salvaged oak floors are visible. Adjacent to the foyer, the gallery space is adorned with hand carved pine dado paneling from St. Luke~s Church in Glasgow, England. Complete with a hidden door, a panel opens to a concealed powder room that repurposes a 16th century baptismal font as a sink. Through the opposite end of the gallery there is a 500-gallon salt-water aquarium that flows through to the large chef~s kitchen. This opulent space is a dream! Adept for the most passionate culinary artists yet intimate enough for household gatherings, this kitchen has every feature imaginable. Dual islands, a warming-drawer, prep sink, range, and vintage elements such as the French castors on the island, Italian hand-painted tiles, a cozy ~keeping room~ fireplace sitting area, and the salvaged, stained-glass pantry doors tie this eclectic space together. There is even a special place for the household pets in their own unique cage crafted from a reclaimed Italian fence! The kitchen flows seamlessly into the informal great room with an extraordinary Renaissance carved limestone walk-in fireplace from Burgundy, France as the centerpiece. Hand-carved wood beams and a wood-clad, vaulted ceiling finish off the space. Adjacent to the great room is the receiving room that continues the display of worldly treasures. Opening through the antique Chinese doors another smaller scale fireplace can be found flanked by two astonishing stained-glass windows. These rare pieces are reclaimed from King Street Methodist church in Manchester and depict David Livingston delivering the gospel to Africa and George Handel~s Messiah. Just down the hall and off of the stately yet comfortable dining room is a considerable wine cellar with an advanced temperature control system fit to store fine treasurable libations from future world travels. After dinner, adjourn to the Indo-Portuguese-inspired cigar room upstairs with a majestic entrance created from two salved doors circa 1860 for a cigar, brandy, and an anecdote from the most recent exploration! All of these amazing architectural features in just the entertaining spaces! The luxury continues in the first floor master suite as well as three other ~mini~ suites with en suite baths. In addition, there is a gym with functional reclaimed quatrefoil door, designated craft room, billiard space, and French doors leading to gorgeous outdoor spaces. Outside in the rear, an enclosed porch and multiple terraces overlook a luxurious custom pool, spa, landscaped grounds and private lake bordering the property~s 5+ acres. A three-car garage, generator and underground sprinkler system provide additional conveniences. High-end construction elements include slate roof, copper gutters and stone-clad exterior, providing exceptional insulation and low maintenance. This estate is remarkably stunning in every way. An abundance of artistic treasures with all of the modern conveniences! Highest quality finishes by a reputable builder in Creekstone, North Facing Masterfully Designed by a Top Designer w/ Views of Pond Rolling Hills on Private Gated 2 Acres. Extravagant Finishes Radiate Throughout this Expansive Floor Plan that is Perfect for Entertaining. 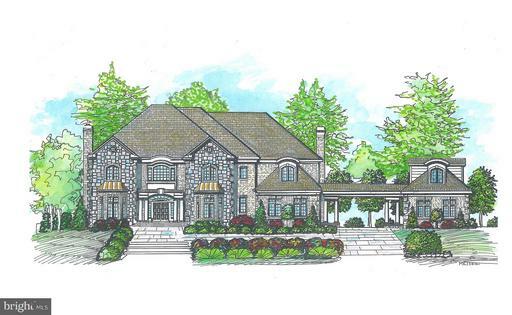 State of the Art Kitchen, 2-Story Coffered Ceilings, Theater Room, Gym, 6 Fireplaces. Amazing Infinity Pool and Cabana. Offered for the first time since its 1973 subdividing, lots 2 and 3 in Cornwell Farm, Great Falls, total 11.54 acres of land including a 1978 residence. These lots are, arguably, two of the finest in this sought after community. Homes in Cornwell Farm range from quaint ramblers to some of the finest houses surrounding Washington D.C. Cornwell Farm has a storied history dating back centuries, to when the Great Falls area was, despite its close proximity to Washington D.C., utterly rural. The earliest chain of title refers to 399 acres being granted to Guy Broadwater by Lord Thomas Fairfax on July 16th, 1731 followed by its sale seven years later for the princely sum of one hundred English pounds to a Mr. Henry Watson. First evidence of the Cornwell name appears on February 4th, 1868, when Mine Ridge Farm, followed shortly thereafter by 200 and about 8 acres were acquired by Benjamin and Phoebe Cornwell, for $1,600 and $900 respectively. Jumping ahead to a little over 100 years later, a group of concerned local citizens, in the early 1970s, banded together to counter a push to develop, what was by now Cornwell Farm, into a clustered housing development. Ironically, with the support of the potential developer, who was won over by the passion and politeness of the group, which had pleaded with him to allow them to purchase the property and subdivide it in to between five and six acre lots, with strict covenants and restrictions as to what could be built, the 200 acres was saved and survives to this day, and in perpetuity, as a unique horse centric enclave of properties with diverse architectural styles. Today, two of those original five plus acre lots are available to acquire as one transaction from their original owner. Lots 2 and 3 are, arguably, the finest two sites in Cornwell Farm, sitting on the corner of Ad Hoc Road named after the Ad Hoc committee which we may thank for masterminding the conservation efforts which resulted in what we see today and Cornwell Farm Drive. 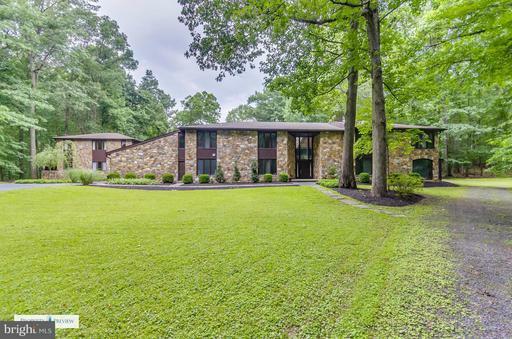 The residence, which was built in 1978, sits toward the rear of lot 2, to the west of what was an early connector between Cornwell Farm Drive and Georgetown Pike. It is a prefabricated Canadian Deck House, of semi-contemporary design, featuring large numbers of tall windows, four bedrooms and 2.5 bathrooms. Lot 2 also has a lovely 8-stall, center aisle barn with hay loft and wash stall, lovingly built by the owners around 1980 and a tennis court with a gazebo nearby. Lot 3 is all horse pasture, with wood 3-board horse fencing and a run in shed. The covenants and restrictions allow for one residence per lot, which overrides the countys zoning of one dwelling unit per two acres. 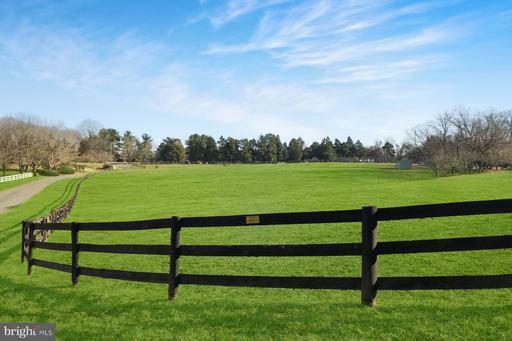 The covenants include delightful bridle path easements which allow equestrians to reach Great Falls Park and beyond without the need of a horse box! OPEN HOUSE SAT, 4/20, 12 - 2pm. Minutes from Tysons Corner, Metro, Dulles Airport, Commuter Routes McLean Shopping, Dining and Entertainment. 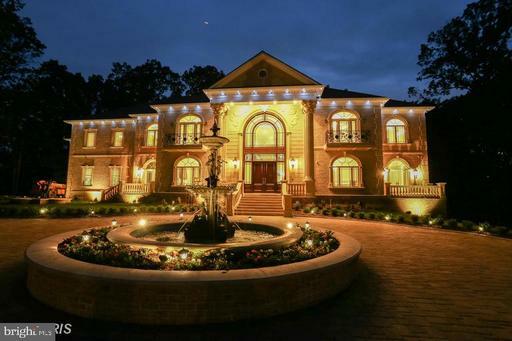 Private, Gated, Luxury Estate on 2.4 Acres. Gated Access, Luxury Lighted, Stone Circular Drive with 4 Car Garage. Extensive Hardscape, Exterior Lighting, Landscaping Front and Back, Fully Fenced. Multi-Level Decking, Stone Patios and Walkways, Large Pool and Cabana, Pergolas, Backs to Woods. All Brick, Custom Estate Home Extensively Expanded and Renovated Throughout. Exquisitely Appointed with Luxury Updates and Open Floorplan for Gracious Living Inside and Out. Spectacular Foyer Entry Flanked by Formal Living and Dining Rooms, Grand Solarium and Private Office with Balcony. Spacious Gourmet Kitchen with Professional Viking, Boche, SubZero Appliances Adjoins Sunny Breakfast Room with Deck Access. Soaring Family Room with Grand Curved Floor To Ceiling Windows and Raised Stone Hearth. Upper Level Gallery Accessed by Front and Back Stairways with Grand Master Suite and 4 Additional En Suite Bedrooms. Huge Walk In Attic/Storage Room. Fantastic Lower Level with Large Family Room with Raised Wood Burning Stone Hearth and Coffered Ceiling, Full Loaded Wet Bar, Game Room, Gym and 2 Additonal Bedrooms and Full Bathrooms Perfect In Law or Au Pair Suite. Dual French Doors Walk Out to Extensive Patio / Pool / Cabana Area. 20x40 Heated Pool, Hot Tub, Cabana / Pool House. Beautifully Landscaped, Lighted Grounds. 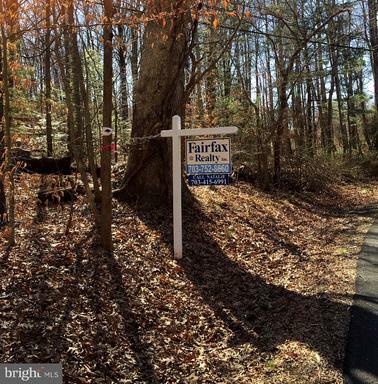 Spectacular Secluded Great Falls Address with McLean Convenience! Just 3.4 Miles to Tysons Corner Metros. The One! New construction that offers luxurious finishes with no detail overlooked! 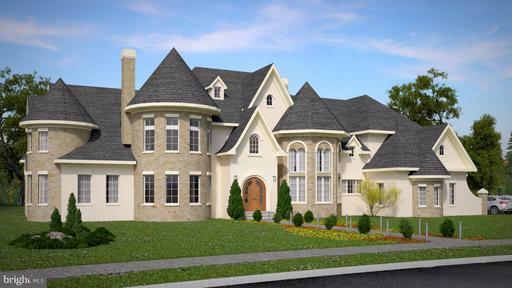 Brilliant design that seamlessly blends classic architecture with contemporary elements. Exceptional location on Leigh Mill Road this elegant stone and stucco home is sited on 2 gorgeous acres. Expertly-crafted this residence exhibits an impeccable flow seamlessly blending indoor and outdoor spaces includes covered loggia with fireplace overlooking pool ready backyard. The interior with an expansive, open-concept floor plan affords views to the main living areas and easy access to the outdoors. 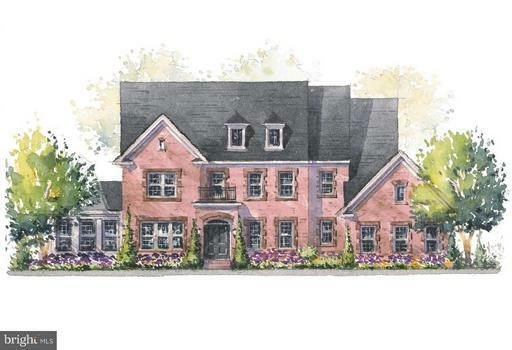 Main Level includes gracious Foyer, Living and Dining Rooms, Library, Great Room that opens to incredible culinary space with custom cabinetry top-of-the-line appliances, pantry, Breakfast Room and Mud Room. Second Floor has an expansive Master Suite with beautiful Spa like Bath, three en suite Bedrooms, 2nd Family Room, Study Area and Laundry Room. Upgrades not included: Opportunity to customize and finish the Lower Level with space to have Recreation Room, Wet Bar, Exercise Room, Movie Room, Guest Room, Full Bath and Powder Room.There is also space over the Garage for an Au Pair Suite and the house is Elevator ready. This remarkable home allows living spaces to converge with an outdoor private oasis! A timeless beauty of quality craftsmanship and exquisite taste, you know youve arrived when entering the long circular driveway. This award winning custom home exudes quality and will impress those who demand the highest standards in luxury living. 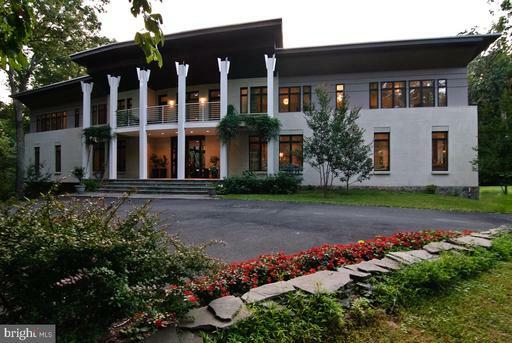 Featuring 8800+ square feet, this home is a masterpiece for living and entertaining. Open the double main doors into a grand foyer with an elegant circular staircase welcoming you to a grand tour. The formal living and dining rooms are a beautiful display of classy opulence. Extensive solid wood millwork and magnificent chandelier lighting are showcased throughout the entire home. The kitchen is stunning and spacious with a large daily island and separate catering island. youll also enjoy appliances with names youd expect at this price point and exquisite french vanilla cabinetry. This resplendent residence provides a formal library/office with extensive wood shelving and storage. Elegant and vast, the large owners suite with sitting retreat provide a perfect private sanctuary. A European spa inspired master bathroom and walk-in custom closets connect directly to the owners suite. Four other bedrooms complete the uppermost level of this home. Additionally, there is an expansive upper level entertainment room which currently is utilized as a kids game room. A full complete lower level is ready for entertainment fun. 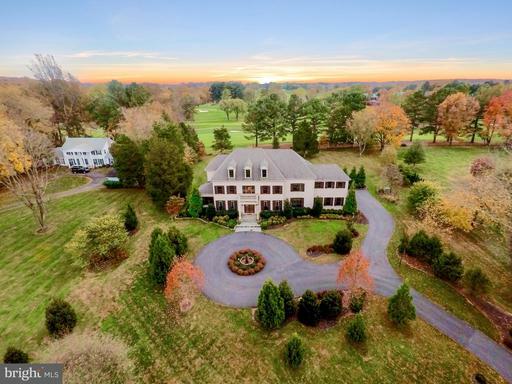 Resting on 5.5 park-like acres in a prime Great Falls location, this estate is so close to everything yet so private you forget you are so close to the Nations Capital. The rear acreage is complete with a covered heated pool, poolhouse structure with outdoor kitchen, full bath and a calming spa. Vacation from home everyday. So many more custom and unique features abound. This home with a lush tranquil setting is a must see, it will not disappoint. 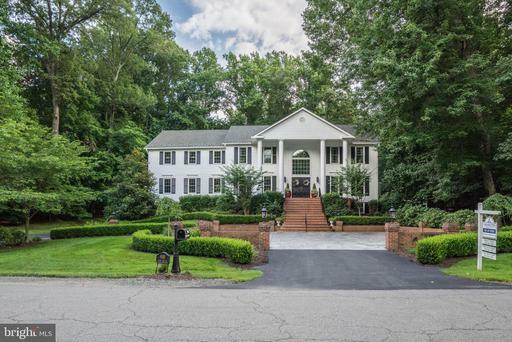 6+ BEAUTIFUL acres, 7 BDRM 4.5 BATH Great Falls Home, Gourmet kitchen, 2 master bdrms, ML bdrm FB, Solarium, FRM w/ wet bar stne frpl , large LR DR, 2nd floor home office/libry. Sunny bsmnt apt w/ pvt entrance- 2 Brs,1 FB, stacked washer/dryer, lit outdoor riding arena, Gorgeous professional 8 horse stable w/ separate drivwy - rubber stall matting, tack room, office, shampoo station. Spectacular Custom Built Keswick Home with 6 Bedrooms, 6.5 Bathrooms situated on 1.9 Acres of Well-Manicured outdoor space. 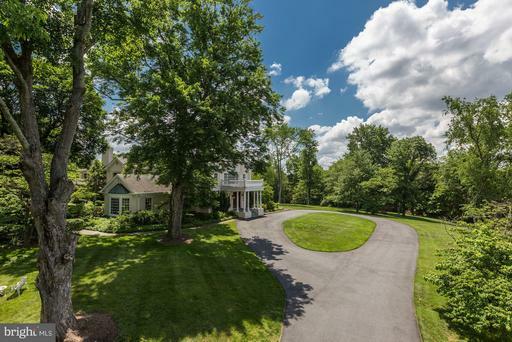 Tree-line Circular Driveway, Fountain, Slate Patio w/views of River Bend Golf Course Country Club. Open Floor Plan, Professionally Appointed Details throughout. Main Level En-Suite Bedroom, elegant Marble Foyer, Hardwood Floors throughout Main Level., Embassy Sized rooms perfect for large scale entertaining including Formal Dining Living Rooms, 2-story light-filled Family Room, Gourmet Kitchen Breakfast Area featuring Coffered Ceilings, Bumped-out Bay Window space, Professional Appliances including Sub-zero, Wolf Stovetop with decorative Stone Hood, Large Center Island w/Pendant Lighting, Granite Countertops w/waterfall edging, Walk-in Pantry, Butler~s Pantry convenient to Dining Room, hallway w/Prayer Room access to 3 Car Garage. Sweeping Hardwood Staircase w/Custom Runner Wrought Iron Railings, Oversized Doors Moldings, Ceiling Speaker System, Upper Level w/Master Suite and 2nd Floor Terrace, Oversized Laundry Room and 3 additional En-Suite Bedrooms. Expansive Finished Lower Level perfect for relaxing entertaining - Rec Room, Media Room, Tiled Bar Area w/full-sized Wine Fridge, Additional Bedroom Full Bathroom, Glass French Doors to back yard, large unfinished Storage Room w/built-in Shelves, multiple closets throughout providing an abundance of storage space. This home has it all~A Must See! RARE LOT IN GREAT FALLS HAVING SEWER WATER. Flexible C-8 zoning. Site plan approved for 20,000 SF building. Listing Broker: Verity Commercial, LLC. Situated at the top of 3 gently-sloping acres in the heart of Great Falls, this one-of-a-kind, modern, vacation style home enjoys all the exciting amenities in the surrounding area as well as close proximity to Washington D.C.We carefully incorporated the contours of the site into our modern home design to afford both privacy and natural views. The home has three levels and contains five bedrooms, five full bathrooms, two half-baths, a two-car garage and measures just over 6,500 square feet.The open floor plan of the main level is ideal for entertaining family and friends. The entrance flows elegantly into the kitchen, and then into the double-height great room, which opens to an impressive outdoor area. The left wing of the home is dedicated to a private owner~s suite with a custom his/her walk-in closet, an owner~s bath with a rain head shower and a free-standing soaking tub with his/her vanities.Beautiful views abound from three generously sized en-suite bedrooms on the upper level of this modern home design. The lower level offers an en-suite guest bedroom with a full bath, an expansive recreation room and an impressive wine cellar. 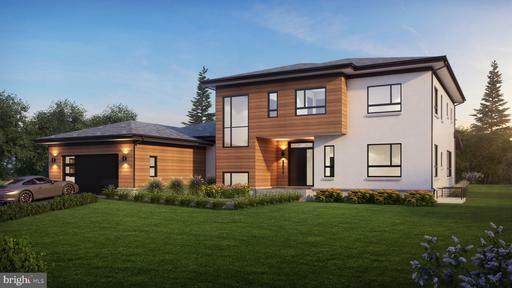 The lower level of this modern home design also features a full exercise room and powder room.We hand-selected the highest quality materials and industry leading brands throughout this modern home design. We chose materials that would last for years to come, require little to no maintenance, and compliment the modern aesthetic of the home. The home features aluminum-clad oversized windows, modern panel siding, brick with a smooth contemporary finish, and elegant stone patios and walkways.Moreover, we wanted to create a modern home design that feels like a retreat but still offers the required amenities a family needs to keep up with the fast pace of Northern Virginia. 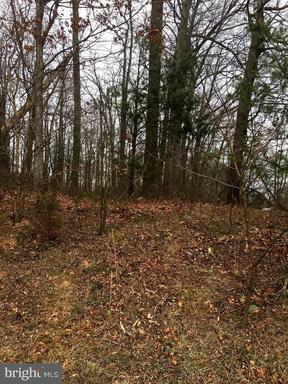 This 9.71 Acres of beautiful land on Beach Mill road in Great Falls, VA with stunning view of a pond next to it, located in the community of multi million Dollars homes. 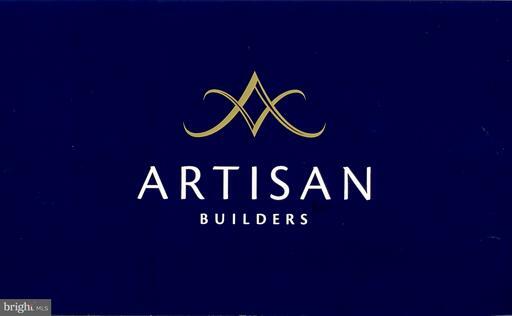 Excellent for Builders Investors. A stunning contemporary, custom designed 5 bedroom home nestled in the woods of Great Falls surrounded by mature trees. Jackson Mill woods is a close-in private retreat that gives you the feeling of being in the country while in a suburban setting. 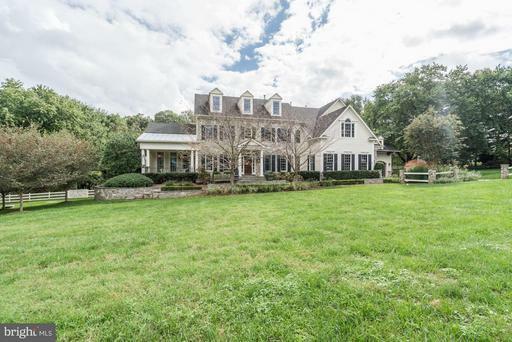 Located on a sprawling 2 and a half acre lot with access to Leesburg and Georgetown Pikes, close to I-495 and I-66 for a short commute to DC or Maryland. Centrally located between Dulles and Reagan International airports, and is within minutes from the Spring Hill Metro station. Blocks away from Difficult Run Park, and only minutes away from the natural gems of Great Falls, River Bend, and Seneca Parks that offer hiking trails and spectacular views of the Potomac River. Served by the top rated Fairfax County schools in the Langley school pyramid. In addition to that, there is separate two bedroom apartment on the lower level that has preserved original antique brick flooring and 5 fireplace, that can be used as an in-law suite, or even an Airbnb! You wont want to miss out on this property, a perfect house as is, or with the endless possibility for alterations and further customization. Make it yours today! Stunning, Claridge design with all the quality and style you want and more! Open, classic contemporary design on beautiful, walk out site backing to pond. Five bedrooms, 6 full and 3 half baths . Four car side entry garage. Three fireplaces. Sunroom extension. Full , finished lower level including wet bar and two-sided fireplace. Posh owners suite with sitting areas, breakfast bar, fireplace , volume ceiling and luxurious salon bath. Rivermont is the crown-jewel of Great Falls! Offering a true community of 19 new homes , the pond, a network of trails and acres and acres of Conservation Space. All just a few moments to the bustling Village of Great Falls where youll find fun restaurants, and all your stops for daily convenience. Enjoy life! Listing Broker: Diane Cox Basheer Real Estate, Inc. Resort living on 1.7 Acres with circular Driveway, Tennis Court, Outdoor Kitchen, Outdoor Living Room with Fireplace, Pool Landscaped Gardens. Approx. 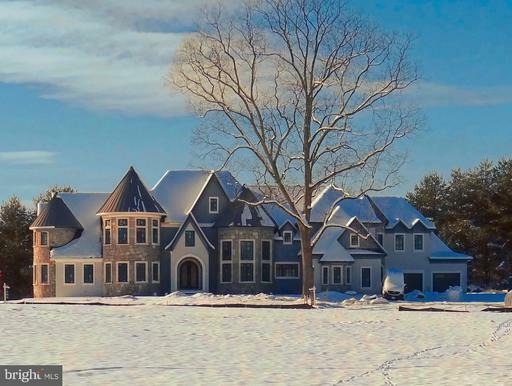 10,000 sq ft, large Formal Rooms, Custom Kitchen with 2 cooktops, 2 dishwashers Grill, Breakfast Room, Family Room w/ skylights, vaulted ceilings "Cyber" Bar. Main Level Bedroom, Master Bedroom w/ FP, Walk-In Closet, His Hers Baths. 2 Laundry Areas 1 in Master Bedroom and on the Main Level ideally located for pool towels and guest laundry. Rec Rm w/ FP, Wine Cellar, Wet Bar Bedroom. Whole House Generator. Walking distance to Riverbend Park. Grand-scale contemporary residence and separate 2 bedroom / 2 full bath guest house on 6.8 private, wooded acres at the end of a cul-de-sac. 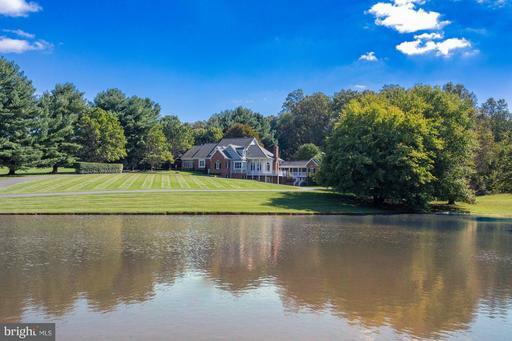 Perfect for compound or estate living with large, scenic pond. True, close-in Great Falls location. 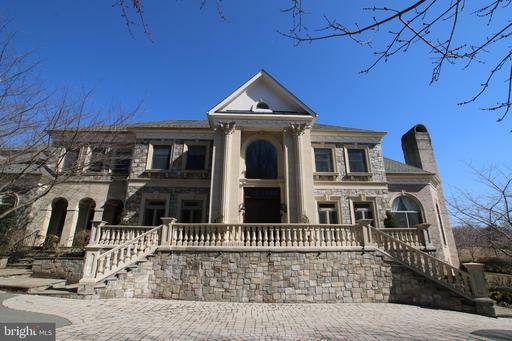 Listing includes two Fairfax Co tax IDs 0134070018 0134010008A. Beautiful property. Welcome Home; youve found your warm and inviting home in the Langley school district on an over 2 acre lot that is open and bright. You and your guests will be impressed by the stature of your new home as you drive up the cobblestone driveway with circular drive and wonderful fountain.This is a home your family will love, and if you entertain, a place your friends will enjoy while looking forward to their next visit. The interior is warm and offers open concept living allowing for plenty of natural light. A good size gym next to your indoor pool with spa and steam room is a great way to stay fit and healthy throughout the year. All while you enjoy streaming music from your built-in entertainment system.The Kitchen is a Chefs delight with a commercial quality Thermador gas range, powerful hood, and double wall oven. The large island, with place for seating, is perfect for prep work, a quick snack, or to gather around while entertaining.The luxurious Master suite, with cozy fireplace, offers a comfortable retreat at the end of a long day. A perfect sitting area to read or prepare for the next day. And to start the day, there is more than ample space for dressing with two massive walk-in closets.The lower level suite is a wonderful walkout offering additional space for your family or flexible living. This level has a large bedroom, a second full kitchen, its own laundry, a family/living room with fireplace, game room and additional features.The home has had many updates including: a new HVAC, whole-house commercial grade generator, dishwasher, Water Heater,Sprinkler, landscaping, and more. The Seller is motivated and willing to consider reasonable offers. Glorious abode, stretches across a crested hill behind a sparkling fountain a charming garden wall with inviting soiree steps. It stretches across the hill-crest with wing after wing encasing room after room of ultimate luxury. *Roof was replaced in 2014, HVAC 2016, 2 water heaters in 2018 generator in 2016* The foyer has twin Charleston style staircases that rise to an upper gallery. The formal rooms feature intricate trim work. The family room overlooks a grand portico, resort style swimming pool, waterfall, a cabana pavilion. The kitchen opens to a morning room wrapped in glass that overlooks the serenity gardens set within a private courtyard. The library offers inspirational views of the patio and surroundings. The main level master suite is out-shadowed by the 2nd floor master suite. Both offer world-class ultra -luxurious bathrooms fireplaces. Each bedroom has a luxury bath en-suite. Plus the club level offers a huge club room painted in magnificent safari frescos club style lighting showcasing the gallery niches and trophy cases. The garage wing can store up to 6 cars.